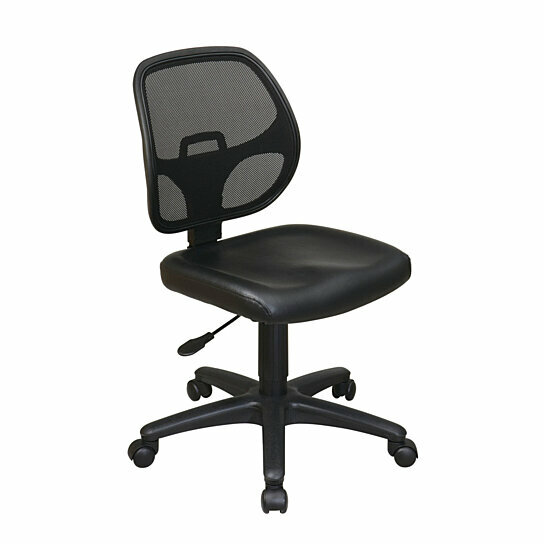 Seat Range: 17.75" - 23", Seat Travel: 5.25", Breathable Screen Back and Black Vinyl Seat with Built-in Lumbar Support. Assembled Net Weight: 20 lbs. Weight Capacity: 250 lbs.